Mr Salto is not afraid to expand his horizon and successfully started working with other artists. His track with Pitbull, “Echa Pa’lla”, was nominated for a Grammy Award in the category Best Urban Song, and he was happy to share a Grammy with Pitbull in the category Best performance. Earlier this year they already received an ASCAP Award (American Association of Composers, Authors & Publishers) for this song. Salto’s unrivalled productiveness has made him an extremely popular remixer. The Gregor Salto remix for Rihanna’s ‘Diamonds’ was included late last year on the deluxe version of her latest album ‘Unapologetic’. 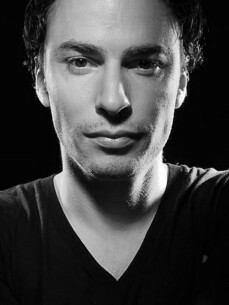 Further he has delivered remixes for pop stars like J-­‐Lo, Rita Ora, Skunk Anansie, India Arie and George Micheal and djs like Nicky Romero, Axwell, Bob Sinclar and Roger Sanchez. Gregor got infected by the house virus when he heard Royal House’s classic anthem ‘Can You Party’ at a school dance. “It was so different from everything else I’d heard before”, explains the Haarlem-­‐born DJ. “It just sounded so impressive on the dance floor.” After some years of experimenting on his dad’s Commodore Amiga computer, he debuted at eighteen years old with the 12“ vinyl ‘Pangaea’ on a sub-­‐label of Amsterdam’s legendary Outland Records. It would take a decade of hard work before Gregor had his first big break. In 2004, ‘Can’t stop Playing’, a catchy house tune produced with dr. Kucho, skyrocketed the Dutch top 40 and remained there for more than two months. ‘Can’t Stop Playing’ marked the beginning of an ongoing rollercoaster ride through Dutch club land, bringing him everywhere from the smallest of backwater barns to the hippest of innercity super clubs. Headlining most of the country’s leading festivals, Gregor established himself as a leading artist in Dutch club land with his distinctive mix of tropical, latin and soulful grooves, set to a solid base of house and electro.